Slot your fastest-moving products to be closest, easiest. Product Slotting is defined as the intelligent location of product in a warehouse or distribution center for the purpose of optimizing material handling efficiency. 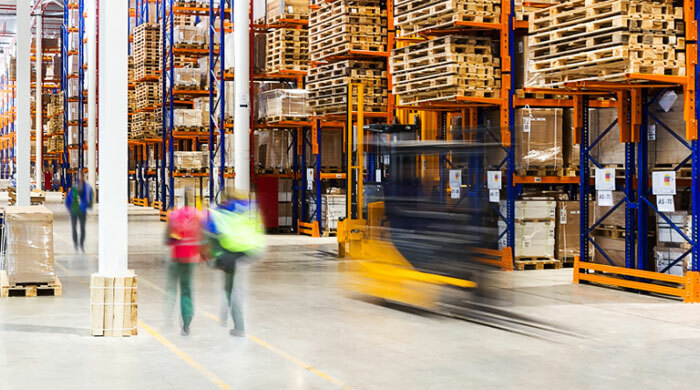 Sometimes called inventory slotting, or profiling, it identifies the most efficient placement for each item in a distribution center or warehouse. Since each instance is unique, product slotting depends on a variety of factors. Can the fastest-moving products be placed the closest to order fulfillment stations? This saves significant time and removes walking. If you don’t treat those things that are constantly picked better than those that are occasionally picked, you are wearing out someone’s soles and your own bottom line. Don’t forget about replenishment. One frequent mistake is to focus just on how an item is picked, not how it is replenished. By sizing the pick face location based upon a standard unit of measure (case, pallet) for the product in question you can significantly reduce the labor required to replenish the location. Consider higher-density storage media. Utilizing equipment like carton flow racks or pallet flow racks can eliminate plenty of walking by presenting product to a picker. We go into this in more detail in “gravity flow vs. shelving”. The bottom line is that you can dramatically slash the number of picking and replenishing steps needed by deploying flow storage vs. static storage. Bring product to pickers, not pickers to product. This can be done a number of ways, but conveyors and carousels are among the best. We have seen big productivity gains made by simply converting a cart-based operation into a conveyorized one. The gains in speed and the reduction in steps can typically justify the capital equipment expenditure. Make sure supplies are easily accessible for packers. Pickers aren’t the only ones who walk. We have seen operations where orders are picked with advanced methods, where carousels and high density storage methods are used to deliver product for the picker, but the packer at the end of the line is squeezed for space and working hard just to keep the things he needs within hands’ reach. Packers who frequently run for cartons, tape, etc. are packers who make mistakes. Workstations should be amply stocked so that the packer can do his job without looking for materials. Often this can be achieved through well-designed packing stations, but also by assigning one person to making sure all the packing stations are constantly supplied. None of these methods necessarily require high levels of automation, although automation can certainly add value in many situations. Many of them simply require us to think about what people are picking, how it’s being replenished, and how it is being packed to ship. When it gets down to it, though, eliminating steps is probably the lowest-hanging fruit on the cost-cutting tree.